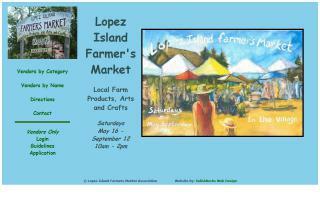 Lopez Island Farm, in Washington's San Juan Islands, creates specialty products like sauces, syrups, and spreads, from apples and other products grown on Lopez and in the Pacific Northwest. 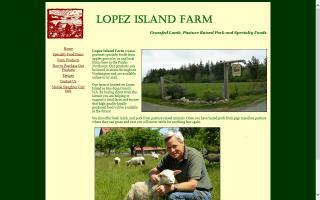 We also raise pasture raised lamb, pork and beef. As of 2015, reported offerings include: baked goods, cheese, crafts, flowers, eggs, seafood, herbs, vegetables, honey, jams, meat, nuts, plants, prepared foods, soap, trees, coffee, beans, and fruits. As of 2013, reported offerings include: organic products, baked goods, cheese, crafts, flowers, eggs, seafood, herbs, vegetables, honey, jams, meat, plants, prepared foods, soap, trees, wine, and fruits. We raise high quality grass-fed Wagyu (Kobe) beef using sustainable agricultural practices. 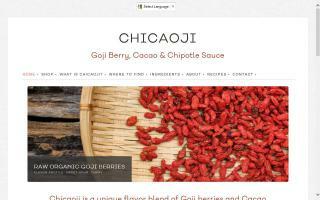 Chicaoji Chipotle Chile Sauce is based on the flavor combination of the goji berry and cacao. 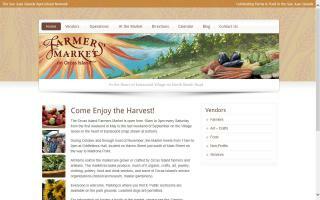 I use organic, raw, and kosher ingredients. I use raw ingredients to retain the nutritive value that cooking would diminish. I looked for the best ingredients I could find. My hope is that your health will benefit from using Chicaoji and that it will provide a delicious complement to your meals.